The Beauty of Nature. The Miracle of Science. Shinso Skin Care. The Rosedale Dermatology Centre is the only clinic in Canada that offers Shinso skin care products and the Shinso Oxygen Lift. Shinso Skin Care can rejuvenate even the deepest layers of your skin by utilizing some of nature’s most precious ingredients. These ingredients are found in deep sea water. Shinso Skin Care also use rare Japanese herbs and botanical extracts. Shinso Essence and Shinso Mist are very unique because they use over 26 active ingredients in a combination which cannot be replicated at this time. These active ingredients not only correct the health and function of the skin, but they are natural and can be used on virtually anyone. Unlock the ancient Japanese secrets of radiant, youthful, and uniform skin while avoiding harmful synthetic chemicals and pore-clogging oils. Shinso’s simple skin care routine use natural cosmetic treatments that will protect your skin from damaging free radicals by harnessing the earth’s most potent and powerful minerals, extracts, and ingredients. Shinso Glow is a combination of ingredients which exfoliate and rejuvenate the skin. Glow leaves skin refreshed and glowing. This unique combination of ingredients is a powerful blend of natural botanicals and Fullerene. Fullerenes, a Nobel Prize-winning discovery, are 125 times more effective at protecting the skin from harmful free radicals than Vitamin Ester C. Fullerene penetrates the skin cells to detoxify and regenerate healthy skin cells and restore the skin’s natural functions, leaving skin plumper and more youthful. Shinso Glow also contains natural fruit and SOD, superoxide dismutase. SOD is a naturally occurring enzyme with important antioxidant and healing properties – a crucial defense for skin cells. Shinso Glow instantly gives your face a lift and removes dead skin cells, allowing for better penetration of serums and moisturizers. 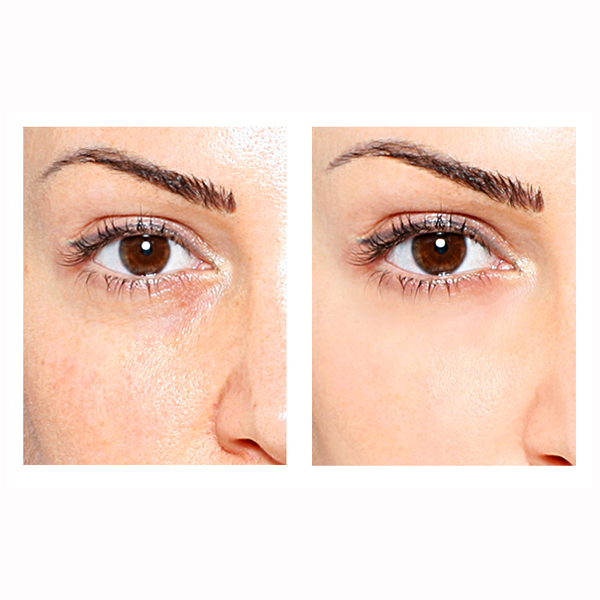 Skin appears smoother and brighter. Shinso Glow gently and effectively removes old and dead skin cells. It generates turnover and prevents skin problems. Shinso Glow will complement any facial regime. Moisturizers and serums have better and deeper penetration when your old skin cells are removed. With regular use of Glow, your skin will be healthy, smooth and glowing. Shinso Glow is oil, chemical, fragrance free, and paraben free. Shinso products are non-animal tested. Shinso Glow focuses on the effects of its ingredients (mainly revitalized hydrogen water) that bind with unwanted protein (rough and dead skin) on the skin’s surface to obtain a clearer, brighter skin, restoring skin back to its health. The gel will immediately react to the dead skin cells on the skin’s surface once applied. This lifting off of dirt and unwanted protein/keratin keeps our face smooth and prevents skin problems. Protect your skin’s health and radiance while simplifying your daily skincare routine with Shinso Mist. Using water from some of the world’s purest sources, such as the Sea of Japan, Shinso Skin Care has produced a hydrating mist that will invigorate and revitalize your skin. From the Sea of Japan, the unique Shinso Mist formula uses the purest waters combined with more than 30 natural elements and rare botanicals to deliver a gentle, high tech misting spray that works on a microcellular level. It instantly hydrates, energizes and lifts the skin without clogging oils. Only natural ingredients such as hydrolyzed silk, aloe barbadensis leaf extract and pyrus malus(apple) fruit extract are used. Like Shinso Essence, the mist guards the skin with SOD and Fullerenes SOD, superoxide dismutase, is a naturally occurring enzyme with important antioxidant and healing properties which is a crucial defense for skin cells. Fullerenes is a Noble Prize winning discovery that is 125 times more effective at protecting the skin from harmful free radicals than Vitamin Ester C. With regular use, Shinso Mist reduces pore size and diminishes the appearances of fine lines while refining your skin’s tone and texture. Shinso Mist also contains extremely rare Fullerene molecules and HumanOligopeptide-1 (EGF, Epidermal Growth Factor), both Nobel Prize winning discoveries. The EGF is highly effective in increasing skin cell regeneration causing damaged skin cells to be regenerated to a younger version of themselves. Shinso Mist has also added Serilesine (Hexapeptide-10), a firming active ingredient that promotes double cellular activity on both keratinocytes and fibroblasts. Over the years the adhesion between the epidermal and dermal cells is reduced, which results in the loss of skin elasticity. Serilesine increases skin’s smoothness by 45 percent, increases firmness by 36 percent and elasticity by 36 percent. Shinso Mist is oil, chemical, fragrance free, and paraben free. Shinso Essence instantly rejuvenates and tightens your skin, while it goes to work on the deepest layers to boost collagen production. It helps to smooth and reduce the appearance of fine lines and wrinkles giving you a similar topical botox like effect naturally. With regular use, Shinso Essence will reveal the true you with firmer and smoother skin. This natural blend of 70 Japanese herbs and botanicals refines your skin’s texture and leaves your face more radiant and youthful. Shinso Essence works to repair and guard skin from damaging free radicals by harnessing nature’s most remarkable age reversing nutrients: grapefruit peel, honey, olea europea(Olive) leaf extract, morus alba root extract and pueraria mirifica root extract. Shinso Essence’s highly penetrating serum also contains four of nature’s most effective salutary skin factors: Argireline(Acetyl Hexapeptide-8), SOD and two Noble Prize-winning discoveries, Fullerenes and EGF(Epidermal Growth Factor). With regular use of Shinso Essence, damaged skin cells are regenerated to a younger version of themselves resulting in a more youthful appearance. Shinso Essence will refine your skin’s texture and leave your face noticeably brighter and youthfully radiant. Shinso Essence may be applied throughout the day and evening, on the face and neck as well as the entire body. The serum may be used either before or after your makeup routine. Shinso Essence is oil, chemical, fragrance free, and paraben free.